Gideon Klein (Theresienstadt, 1943). Pencil sketch by Petr Kien (1919-1944). Jewish Museum in Prague, Petr Kien, inv. no. 174.304 c.
Gideon Klein (Theresienstadt, 1943). Pencil sketch by Petr Kien (1919-1944). Jewish Museum in Prague, Petr Kien, inv. no. 174.304 c.
Moritz Henschel as Circus Ringmaster. Ink on cardboard drawing by Petr Kien, Terezin, ca. 1944. Spruch! page 2 of score in Gideon Klein’s hand. Gideon Klein (born December 6, 1919, in Prerov, Moravia) was a prize-winning student at the Prague Conservatory when the German occupation of Czechoslovakia forced an end to his studies. With the advent of Nazi laws barring Jews from many professions, Klein’s career as a pianist also ended, although he managed to perform under an alias for a time. In December 1941, Klein was sent to Theresienstadt (Terezín), near Prague, and assigned to a hard labor brigade. Theresienstadt was an exception within the Nazi system, a “model ghetto” where for propaganda purposes the Germans allowed prisoners a relatively open and varied cultural life. Klein, stimulated by the presence of artists and intellectuals from all over occupied Europe, thrived for a while in this setting. Placed in charge of chamber music activities by the ghetto’s Freizeitgestaltung (Leisure-Time Authority), he turned his energies toward organizing concerts, performing, teaching, and composing. Klein left Theresienstadt on a transport to Auschwitz in October 1944. He passed the selection process and was subsequently sent to the labor camp at Fürstengrube, where he died in January 1945. About a dozen of Klein’s Terezín compositions and arrangements survived the war. Of these, the brief choral piece “Spruch” (Verdict) has come to light only relatively recently. Written for and dedicated to Freizeitgestaltung Chairman Moritz Henschel on the occasion of his 65th birthday (February 21, 1944), the manuscript was preserved among Henschel’s papers. 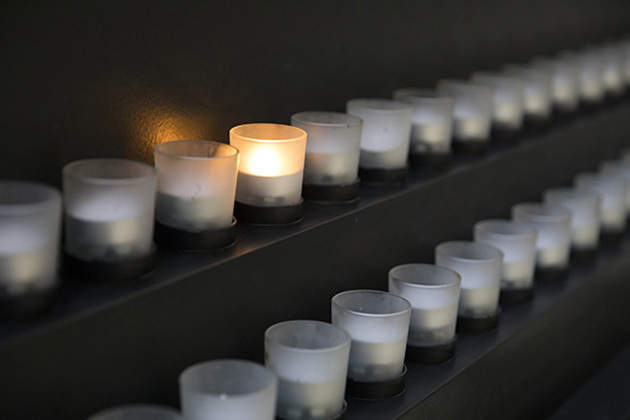 Together with other related documents and memorabilia, it now forms part of the United States Holocaust Memorial Museum Givol Collection in Memory of Moritz and Hildegard Henschel. 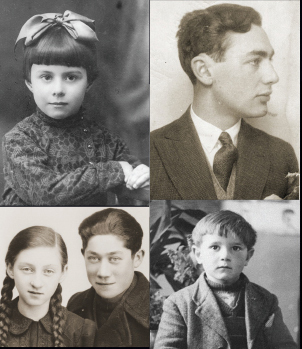 Terezin Music Anthology: Koch International Classics. 9 CDs to date produced under the supervision of David Bloch of the Terezin Music Memorial Foundation, Israel.